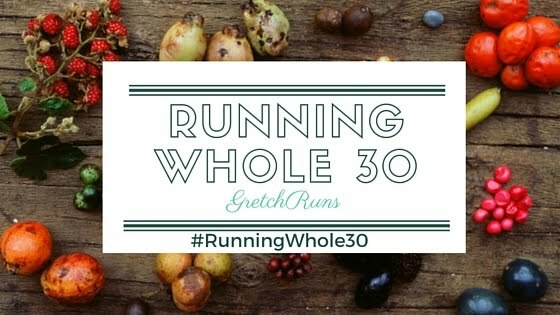 The first week of #RunningWhole30 has come and gone, and I'm already learning so much and feeling great! For the remaining weeks of the challenge, I'll be giving an update on the previous week, as well as my meal plan for the upcoming week. I hope you enjoy, and make sure to check out the hashtag #RunningWhole30 to see some amazing food ideas on Instagram and Twitter! The first week was a bit of a challenge. Not only was I back to work after being off for the holidays, but I also started marathon training. Needless to say, there was a lot of stress and planning involved! Luckily, everything went really well, and I'm already feeling amazing. One big thing that happened this week was that I woke up early enough to cook and eat breakfast at home. I don't think I've ever done this, so to do it for an entire week was a big deal! I think it helped having a filling breakfast, so I wasn't really hungry until lunchtime. It also felt great to start my day off in such a productive way, rather than rushing out the door to catch my bus! Some physical changes that I've noticed- no breakouts, less headaches (after day one, when I had a lingering headache all day), more energy (especially during runs). The only downside I see so far is that my jeans seem to be fitting a bit tighter. I'm not supposed to weigh myself while on the Whole30, and my stomach is actually looking really flat, but I did notice that I had to go up a notch in my belt! This might be because I'm eating more fat than usual, which is understandable. I'm interested to see if this will change next week, so I'll keep you all updated in next week's post. I recently got a new cookbook- The Pioneer Woman Cooks: Dinnertime . There were so many amazing recipes in the cookbook, and I just couldn't wait to dive in and try out some of them! The cookbook itself is really great- Ree has a little story for each recipe about why she created it or why her family loves it, and has a picture for each step of the recipe. She also suggests variations and pairings for each dish. I love all of the personal touches in the book, like family pictures and stories. It's really a great cookbook! 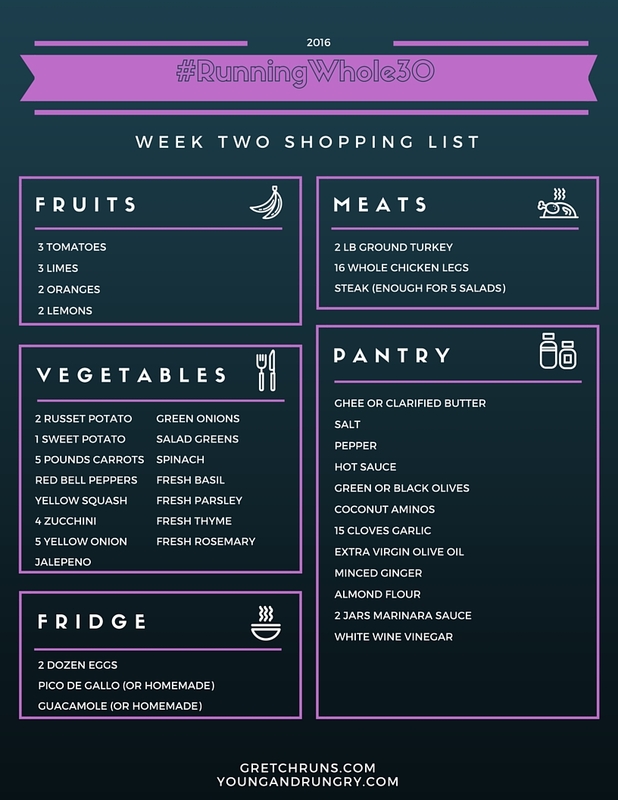 For this week's Whole30 menu, all of the recipes I'm using are from her cookbook (and the recipes are also on her blog, so I linked them! )- minus the recipe for meatballs. I had to make some substitutions to make the recipes Whole30 compliant, which are all noted. Hopefully this will help inspire you to change some of your favorite recipes to make them work for different dietary restrictions. I don't normally eat eggs, but last week they really helped to fill me up in the morning! I have a hard time eating a big breakfast first thing when I wake up, so that helped get some protein in. Next week I promise to share some non-egg recipes for breakfast! Everyone suggests eating frittatas during the Whole30, so I decided to give Ree's a try. This is the kind of recipe that you can throw any leftover veggies that you have in, or adjust the ingredients to your liking. I'm not sure exactly what I'll throw in it yet, but I'm excited to see how it comes out! Last week, I really liked having a salad for lunch at work. It was easy to pack up, and helped to keep me filled up at work. I wanted to try this amazing ginger steak salad, and will be adding more salad ingredients (tomatoes, cucumbers, etc). For the chicken salad, I thought I could use some of the leftover Pollo Asado that I'll be having for dinner to make a quick and easy dish. I just love a chicken salad, and I'll bet it will taste great with all those Mexican ingredients! This week, I was really craving some spaghetti and meatballs. When I saw the recipe for zucchini noodles, it looked SO GOOD! I decided to satisfy my urge with this healthier version, and will attempt to make meatballs for the first time. Chicken is always a favorite of mine, so I'm excited to try out this Pollo Asado. I also wanted a side dish, so I'll be making some roasted carrots. This will also make a great addition to my salad once the carrots are cooled down! What's on your meal plan for the week? My fellow Whole30 girls and guys- how was your first week?! Did anyone else make a healthy eating resolution? How's it going? So far, so good! All the Whole 30 recipes we've tried this week have been delicious. Tuesday night we had chicken breasts seasoned with rosemary, basil, and sea salt, with a side of green beans. Wednesday night we did turkey stuffed peppers. Tonight we did chicken stir fry with broccoli, peppers, and snap peas. Still having some major sugar cravings. I would kill for a milkshake right about now...lol. Ohh that sounds great! I just got some fresh herbs so I'll have to try that recipe. Great job! there's a whole30 linkup/challenge going on and i love reading everyone's updates! http://www.lifewithlolo.com/2016/01/breakup-challenge-2016-preparing-for.html <-- in case you were interested. Have you seen this Whole30 timeline? I'm wondering if your tighter jeans are a reflection of Days 8-9. I definitely felt that too during my first. Great job on the first week, you rock!! I haven't seen that, but it's very interesting! Thank you for sharing! I am trying to not eat processed foods in general. It is going well, just have to be more creative in the kitchen :) My body definitely feels better, my running is improving, and i think I am leaner. Hooray for healthy eating! That's a great goal, and great job! It's so amazing to see those results just from changing your eating habits. Keep it up!